Nominated for the Pushcart Prize! I’m thrilled to share that The Luxembourg Review has nominated my flash fiction story “Give With One Hand” for the Pushcart Prize!! My humble thanks to the TLR editorial team for the nomination and for believing in the story. New story published in The Luxembourg Review! 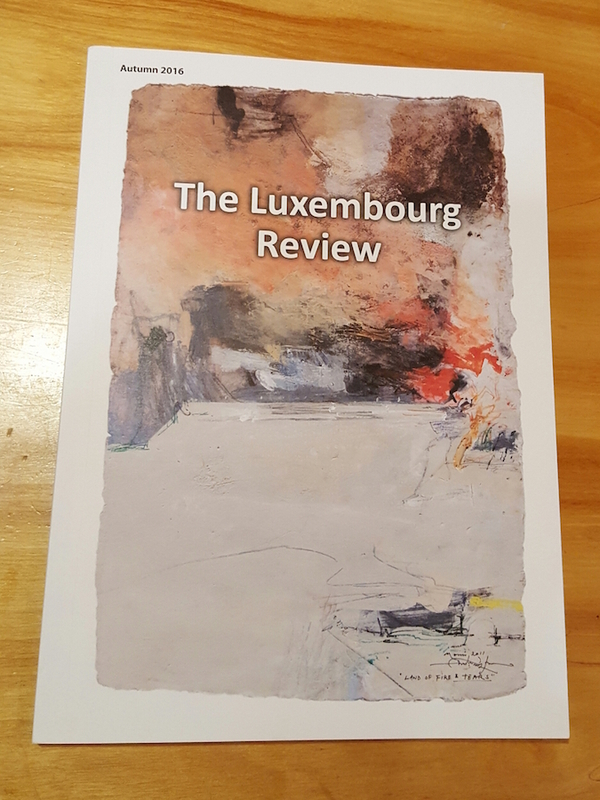 I’m thrilled to share that my micro fiction story “Give With One Hand” is part of the The Luxembourg Review’s inaugural print issue, entering the world now! My thanks to TLR’s founder and editors — including Syed Shehzar Mukkarrim Doja, Nathan Hassall, and Martelle McPartland — for believing in the story. Two (very) short stories published in KYSO Flash! Thank you, KYSO Flash Editor-in-Chief Clare MacQueen, for believing in the stories and your commitment to the craft of flash. And a loving shout-out to my dad, Gary S. Rosin: three of his haiga collaborations appear in the same issue! My second novelette, The Burlwood Chair, is finished. Now, let’s see about getting this thing out into the world, shall we? My flash fiction story “Stuck In Quito” is published today by Shotgun Honey! Click through to check it out. Big thanks to Ron Earl Phillips and the crew at One Eye Press for believing in the story!